Is Christianity just a belief that dulls the pain of our existence with dreams that are beautiful but false? Or is it an accurate account of reality, our own condition and God's attitude toward us? 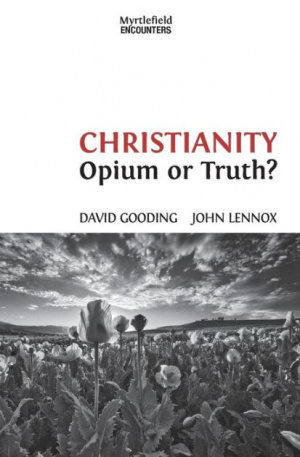 Gooding and Lennox address crucial issues that can make it difficult for thoughtful people to accept the Christian message. They answer those questions and show that clear thinking is not in conflict with personal faith in Jesus Christ. Christianity by David W Gooding; John C Lennox was published by Myrtlefield House in November 2014 and is our 61240th best seller. The ISBN for Christianity is 9781874584537. Be the first to review Christianity! Got a question? No problem! Just click here to ask us about Christianity.